Huddersfield-based accountancy practice, Crowther Chartered Accountants has strengthened its senior management team with the appointment of accounts manager, Sam Tasker-Grindley. Sam joins the business following a period of significant growth in 2018. Established in 1995, Crowther Chartered Accountants provides accountancy, taxation, audit, financial mentoring and bookkeeping support to clients across Yorkshire and the rest of the UK. Newly appointed manager, Sam will support the firm’s founder and managing director, Steve Crowther in running the business, whilst also managing his own portfolio of clients. Sam will play a significant role in new business development and staff training. Prior to working at Crowther, Sam completed an accounting and management degree at Cardiff University. Sam is an ACA Chartered Accountant and began his career at a leading corporate accountancy firm in London, where he gained experience in accounts, tax advisory and planning. Sam relocated to the North in 2017 to open the Leeds office of a Yorkshire-based accountancy practice. Here, he took a leading role in business development, marketing, client relationship management, forecasting and financial modelling. Crowther currently employs twenty local professionals and has plans to recruit an additional two members of staff in 2019. Managing director of Crowther Chartered Accountants, Steve Crowther, said: “Sam joins us at an incredibly exciting time. We have built a solid reputation in the region and as we move towards our next stage of growth, Sam’s skills and experience will support us in reaching 2019’s goals and objectives. 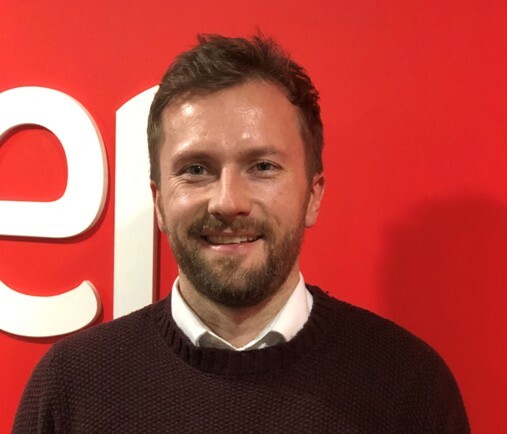 Sam Tasker-Grindley said: “I am incredibly excited to undertake my new role at Crowther. The firm delivers exceptional customer service to its clients across the region and I hope to use my skills and experience to really add value for my clients. “I will play a leading role in leading the business’s digital transformation as we take advantage of the new technologies that exist in the accounting industry.